Sofia, Bulgaria, March 07, 2019 --(PR.com)-- CoinPoint disrupts the marketing techniques and carves the path for dApps and exchanges to earn the sought-after affluence. The industry is very competitive by its nature, but every challenge motivates them to keep pushing forward and emerge victorious hand-in-hand with their clients. New market expansion in GCC and Asia has resulted in copious client acquisitions and new media partnerships which they aim to maintain and enhance. 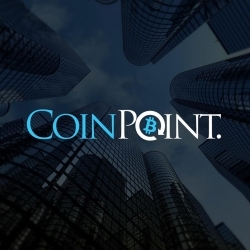 CoinPoint is a well-known partner within the blockchain industry which they stood behind and provided an array of marketing services for in terms of brand development, blockchain consultation, business development, decentralized social media management, content marketing, and many other tailor-made services. Having the offices in both Philippines and Bulgaria has allowed them to sustainably support their customers both online and on the ground. With the newest development in client acquisition, CoinPoint successfully expanded their impressive array of operation in the areas of GCC and Asia. GCC is currently in great demand for an all-in-one decentralized exchange to get the industry going, but also to enable the users to safely exchange and trade their tokens/coins. Asia, on the other hand, is producing an ample of innovative dApps most of them revolving around social media, casino, games, finance, wallets, storage, identity, insurance, etc. Being very rapid in their development and versatile by their nature caused dApps burgeoning and gained them unparalleled popularity. People behind CoinPoint’s operation noticed dApp’s disruptive technological advancements and application, and decided to bestow their blockchain and crypto knowledge on the lucky few. CoinPoint believes that 2019 already proved to be a year in which dApps started overcoming the difficulties of opacity, insecurity, and fraudulent activity and started working towards the common goal of adoption, growth, and development alongside their allies such is CoinPoint. Regardless of the idea, innovation, and technology, if a dApp is not equipped with unsurpassed marketing proficiency, success will always remain beyond their reach. For that reason, CoinPoint is armed with sufficient knowledge and network of connection to meet those demands and assist aspiring projects reach the sought-after prominence. Similarly, decentralized exchanges have been gaining momentum and are going through the unparalleled volume boost recently. Orchestrating Kraken, gate.io, and blockchain.info’s marketing endeavors have proven that their proficiency produces great results and contributes to the overall blockchain marketing funnels. "Asia and GCC are altogether complex markets and our clients recognized they needed a professional agency with global experience and a strong network of local partners. CoinPoint has been in this market since 2013 and it helped numerous platforms, dApps and exchanges implement crypto solutions throughout the years. Throughout those years we surrounded ourselves with the network of highly influential bodies that remain at our fingertips. Furthermore, we have acquired requisite knowledge of knowing how to boost their visibility and thrust the marketing campaign in the sixth gear. We at CoinPoint keep bestowing our blockchain and crypto knowledge to them, so that they can keep up the pace with the latest blockchain trends." Click here to view the list of recent Press Releases from CoinPoint Group Inc.